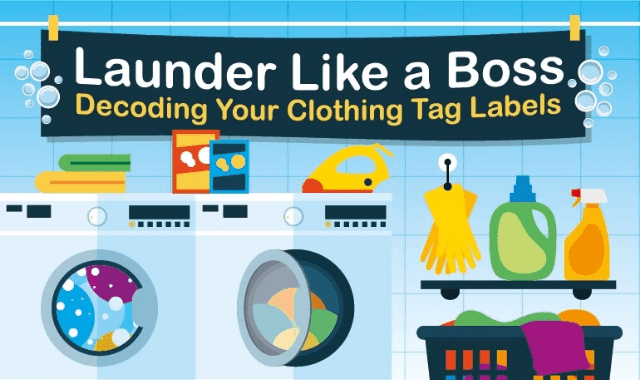 Launder Like a Boss: Decoding Your Clothing Tag Labels #Infographic ~ Visualistan '+g+"
The tiny laundry tags on clothing have long been a source of confusion for many of us. The little symbols seem to convey important information, but what do they mean? Our laundry guide breaks down the meaning of each symbol, some of which are very similar-looking, only differentiated by small dots that explain at which temperature to launder your clothes. We also included tips for symbols that refer to dry cleaning, bleaching, and ironing.